WCBR Unity Farms Barrel Racing | 2019 Terra Bella CA Unity Farms Inc. The WCBR Unity Farms Barrel Racing will be held on Thursday, May 2nd, 2019 in Terra Bella, California. This Terra Bella rodeo is held at Unity Farms. 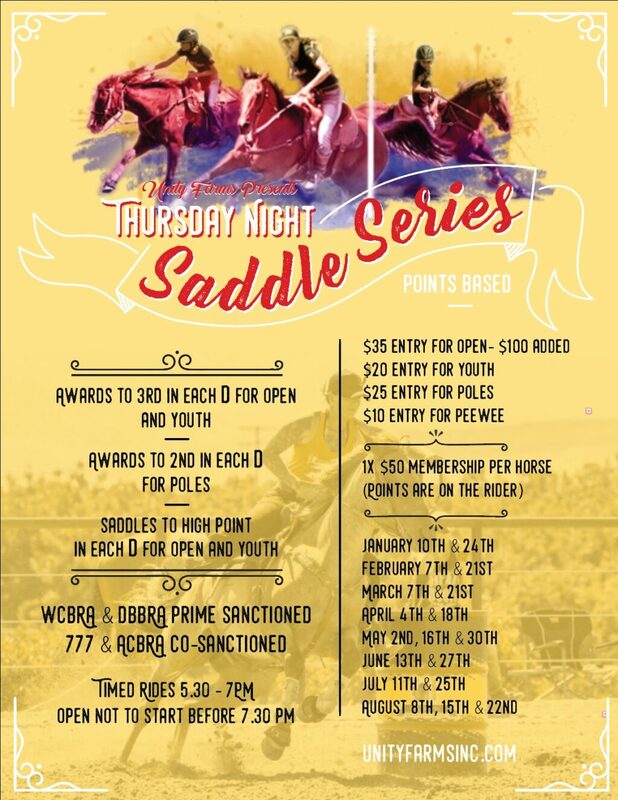 This is a Thursday Night Saddle Series that will be points based.